Virtual Servers Or Dedicated Servers: What’s The Difference? There are over a billion websites online today and as many as 75 million servers. Of these, as many as 2 million are owned by Microsoft and Google. With a business there comes a website. We all know this means a server too. 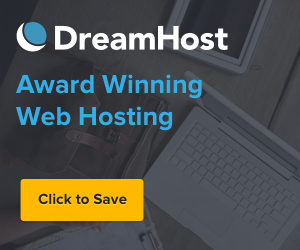 The basic, shared, inexpensive hosting plans are great at first, but within a short time we discover they just don’t have the bandwidth to help support our online needs as a business grows. The next question is: Should the next choice be a dedicated or a virtual server? What is more important, security or flexibility? We can help you decide! Which Is the Right Server For You? A lot depends on your business model. However, we have tried to break down the options, so you know what is going to work for you. Increasing your disk space, CPU and RAM will be easier as it won’t require any additional hardware specification. You can thus scale on-the-go. Dedicated servers come with an expensive price tag — and if you don’t specifically have the need for one, there might be better options. Should you lose data, it’s easy to recover with a virtual machine. With proper disaster recovery planning — like daily backups — you don’t have to worry. Your hardware will be virtualized and therefore any hardware upgrades will be on software level. There is no need to install hardware.Who wouldn’t want safer and faster backups that are easy to restore too? Take live and schedule snapshots while the OS runs to save time when recovering the entire OS. Virtual servers are considerably less than dedicated servers and often have as much as 80% utilization. You are likely to have access to more memory, CPUs and other hardware. You will also use computer-processing power far more efficiently. But the real upside is your power use will hardly increase and also the physical space you need is also diminished. This may well impact profitably on utility and real estate costs. IT Management can be a much simpler affair with virtual servers. It can be managed from a remote location using an internet connection. You may have access utilizing Thin Clients — which are a lightweight computer that is purpose-built for remoting into a server. Thin Clients are low-cost and centrally managed without any hardware maintenance, allowing you to access to your virtual server from anywhere. You can also use existing computers for remote desktop connection to virtual machines located on the main server. Virtual servers are efficient, and have faster server deployment times than normal hosting plans. Your server can be up and running in a matter of minutes. Here is a look at some of the problems you might run across if you choose a virtual server. A virtual server shares its host with other accounts. If any one VM becomes vulnerable on a virtual server, there is a chance that it may pose a threat. This rarely happens, but as many servers run many accounts there is a possibility of attack. There are many ways to ensure that your virtual server is secure, but we recommend having firewalls in place to avoid detrimental traffic. You can learn more about firewall security on your virtual server here. As TechRepublic explains, “Virtualization sprawl or VM sprawl is defined as a large amount of virtual machines on your network without the proper IT management or control. For example, you may have multiple departments that own servers begin creating virtual machines without proper procedures or control of the release of these virtual machines. This can be easily avoided by having proper virtual machine management, but you may want to ensure that there are proper procedures in place before placing an order. VM sprawl usually only affects large corporations with many user accounts. Learn more about managing user accounts with this blog post. On some occasions, the disk space and configuration of a VM is copied and stored so that next time, you won’t have to bother creating another one. This means that every time you configure another VM with that image, it has the same certificates and security exceptions as the image that you created a while ago. This, in turn, leaves your new machine with old security rules and therefore, an easy target to breach. To cope with this, Microsoft and VMware both supply patch-management schedules with their various infrastructure products. These products help in keeping your disk images up-to-date by having you launch them regularly. Organizations don’t often realize that even though the server is virtual, it’s another layer of technology and needs maintenance. More often than not, the security of a virtual system is either left to the host or the team working on it. The lack of a designated team or even a system administrator to monitor it leads to risk. This can be avoided by scheduling regular maintenance and security checks. A great support team can help you avoid catastrophe and keep your server in prime condition. To learn more about the importance of a superior support team read this post. Why Should Opt For A Virtual Server? Really, choosing a server comes down to size. Virtual servers are the perfect options for small and medium-sized businesses. You can opt for virtual hosting at the beginning of your web hosting journey and gradually move on to a hybrid or dedicated hosting option if necessary. There are options that can help achieve faster server/client connections speeds, through a virtual switch for example. We had a look at the virtual servers and why they might work for you, but here is why many businesses prefer going the dedicated server route. Never miss another post. Sign up for the weekly 100TB newsletter or follow us on Facebook and Twitter. Dedicated servers are built with high-end user specifications. Virtual servers have a limited allocation of resources and needs to be upgraded to have a better speed. A dedicated server belongs to you. Therefore you are free to add as many or as few additions to your set up as necessary. If customization is important to you, a dedicated server is the answer. A dedicated server can process a larger amount of data in a short amount of time. This can be incredibly useful if you’ve have a site that often experiences traffic surges, or if ‘going viral’ is an exciting goal in your future. Virtual machines are the tortoise in this race. But if you are looking for the hare — dedicated servers can help you finish fast. Opting for a dedicated server means that you don’t have to worry about added complexities. Once you are configured for use, the road forward is straightforward. If concerns do arise, a helpful tech support staff member should be able to correct your path without much fuss. Dedicated servers represent a solid foundation to build a business upon. This can also be a potential fault if a business is looking to make quick changes and scale widely. But since we have brought up a possible dedicated set back, let’s look at others that might steer you back towards virtual servers. The major concern regarding a dedicated server is the cost. Ensuring that you have allocated resources at all hours of the day and night does not come cheap. Dedicated servers also require heavier administration and security from a data center standpoint, which means the costs are funneled up to you. Depending on how you prioritize around-the-clock care and availability, this may not be the best way to spend your budget. Speaking of budgets, dedicated servers also mean dedicated costs. When leasing a dedicated server, your budget will be easier to manage as the cost will stay the same quarter to quarter. Scaling a virtual server may run into budgetary concerns as you will require larger nodes in some months when the occasion arises. It may be hard to explain why you need more cash flow in September than in October to your accounting staff. Dedicated servers need around the clock monitoring and control. This can be an added expense if your web host does not include these costs in your lease. When looking for a dedicated server, be sure that you read any Service Level Agreements carefully to make sure that you won’t find any unexpected support costs. To take a look at our jargon-free Service Level Agreement visit this page. 100TB prides itself in our transparency and client trust. Any web host that doesn’t should seriously reconsider their service strategy! Dedicated remains a hosting favorite for many organizations. Given the nature and benefits of going the dedicated way, businesses are going in for a hybrid approach — which helps keep their system more secure and functional. Companies like Cisco have stated that by 2019, about 86% of their business workload would be on the cloud. Leasing a dedicated server as well as backing up data over the cloud is a smart way to ensure you never find yourself in a sticky situation. Broadly put, it’s your choice. If you are supporting a bank, government institution, large corporation, ecommerce portal or a company who regularly deals with financial information, then a dedicated server, despite its cost, is still the safest option. However, if you still aren’t quite sure and need advice, then 100TB’s superior support team can talk you through the options and help you make the decision that’s totally right for your business. To get in touch with a helpful support staff member through email, ticket or chat please visit this website.